Since the Haitian earthquake last year, the country has been in turmoil. Rebuilding efforts are slow, and the carnage caused by the natural disaster has lead to political instability in a country widely known for political instability and dictatorships of various types. One of Haiti’s most famous dictatorships, the Duvalier dictatorship, ended 25 years ago when Jean-Claude Duvalier fled the country. Now, “Baby Doc” Duvalier has returned to Haiti, landing in Port-au-Prince via an Air France flight on Sunday. Jean-Claude, called Baby Doc after his brutal dictator father Francois “Papa Doc” Duvalier, fled Haiti in 1986 when Haitians started on the deshoukaj, or uprooting, campaign of reprisals against pro-Duvalier politicians and people. He has been living in exile in France since then, but has been attempting to rehabilitate his image (and the image of the Duvalier family dictatorship) in an attempt to return to power via democratic means. 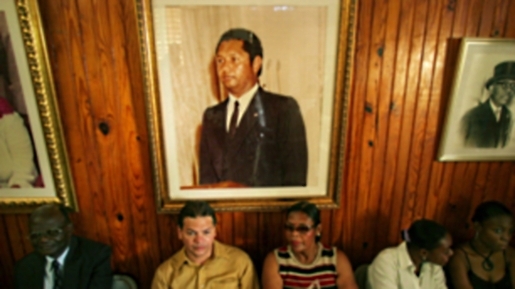 The Duvalier family government’s Tonton Macoute secret police tortured and killed dozens of political opponents.